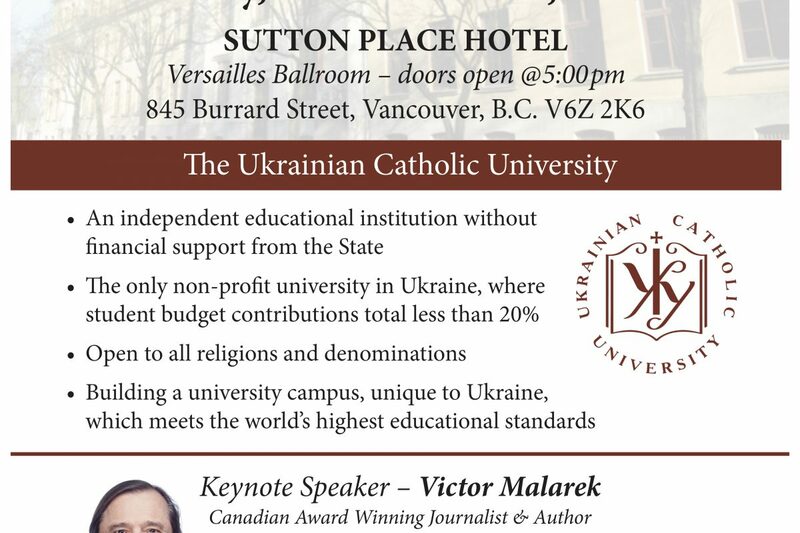 Ukrainian Catholic Education Foundation and Vancouver Friends of UCU committee are organizing Fundraising dinner to support Ukrainian Catholic University. The event will be held on Friday November 11 at the Sutton Place Hotel, the address is 845 Burrard Street, Vancouver, V6Z 2K6. Keynote speaker: Victor Malarek.